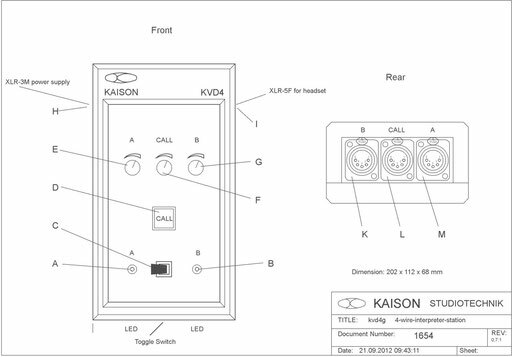 Interpreter Unit KVD4 - kaison1s Webseite! A A-LED is lighting green, if toggle switch stands at A, interpreter speaks to guest A about connector A at the rear side. 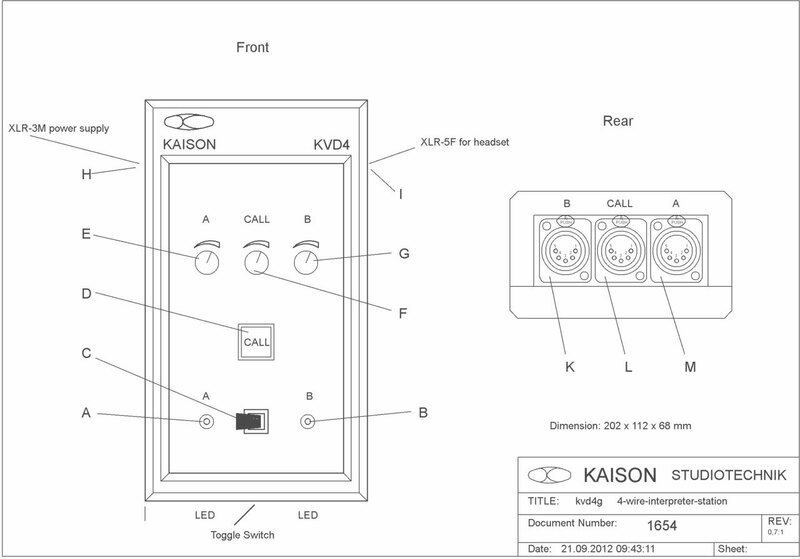 B B-LED is lighting green, if toggle switch stands at B, interpreter speaks to guest B about connector B at the rear side. interpreter to A and B is cutting off. LED A and B are not lighting. at connector CALL at the rearside. E Control A is controlling the incoming speaking of guest A.
G Control B is controlling the incoming speaking of guest B.
H XLR-3M connector at the left side for power supply 9VAC. I XLR-5F connector at the right side for headset.